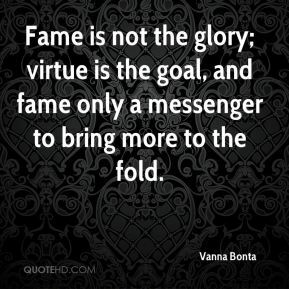 Fame is not the glory; virtue is the goal, and fame only a messenger to bring more to the fold. 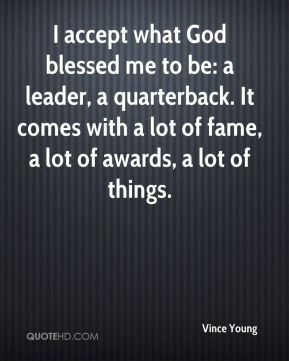 I accept what God blessed me to be: a leader, a quarterback. 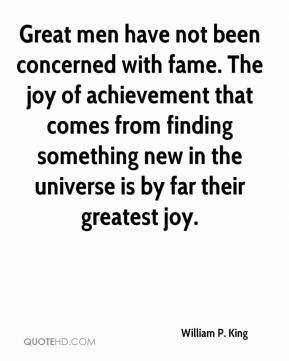 It comes with a lot of fame, a lot of awards, a lot of things. 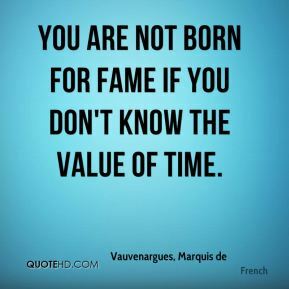 You are not born for fame if you don't know the value of time. He's someone who will be in the Hall of Fame. 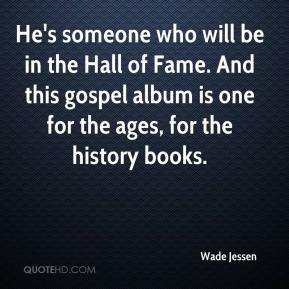 And this gospel album is one for the ages, for the history books. 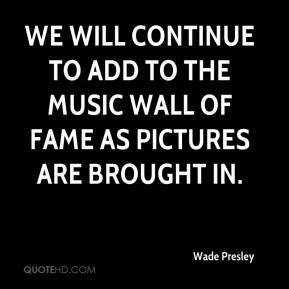 We will continue to add to the Music Wall of Fame as pictures are brought in. 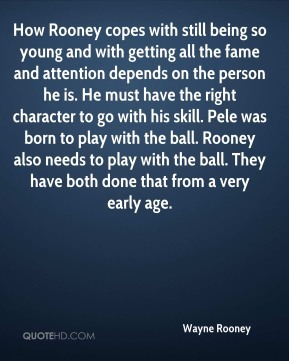 How Rooney copes with still being so young and with getting all the fame and attention depends on the person he is. He must have the right character to go with his skill. Pele was born to play with the ball. Rooney also needs to play with the ball. They have both done that from a very early age. (Earlier this season), when we came back from the Hall of Fame tournament after losing to Lebanon by 13 and Columbus East by nine, we had to do something. We spent the next three days at practice taking charges and diving for loose balls. These kneepads were a statement that no one was going to play harder than Castle. To be voted into the Hall of Fame would be the crown jewel of my career. When I look back at what I overcame and what I was able to accomplish, it would be extra special. 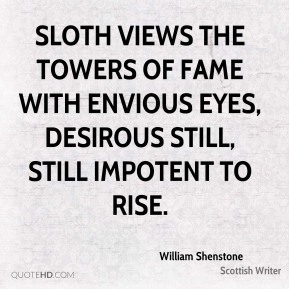 Sloth views the towers of Fame with envious eyes, Desirous still, still impotent to rise. 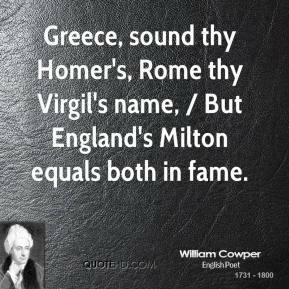 Greece, sound thy Homer's, Rome thy Virgil's name, / But England's Milton equals both in fame. She doesn't want fame or to be noticed. We should respect her and stop searching for her. 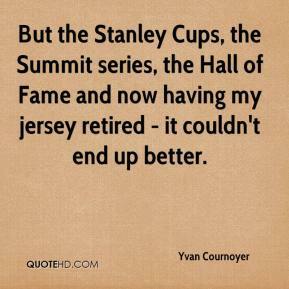 But the Stanley Cups, the Summit series, the Hall of Fame and now having my jersey retired - it couldn't end up better.